We’re still working on that catch. Wednesday’s session continues the theme of the last month or two with what should now be very familiar drills. 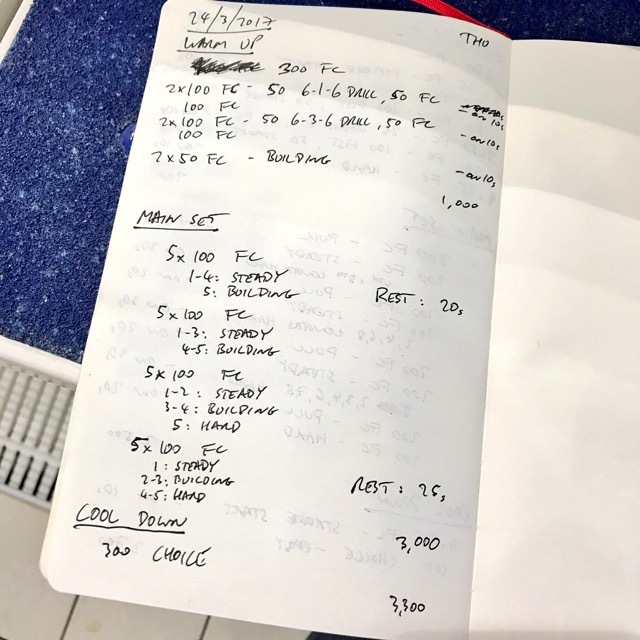 Thursday opted to work on balance and rotation instead, but both sets have varied paced main sets. 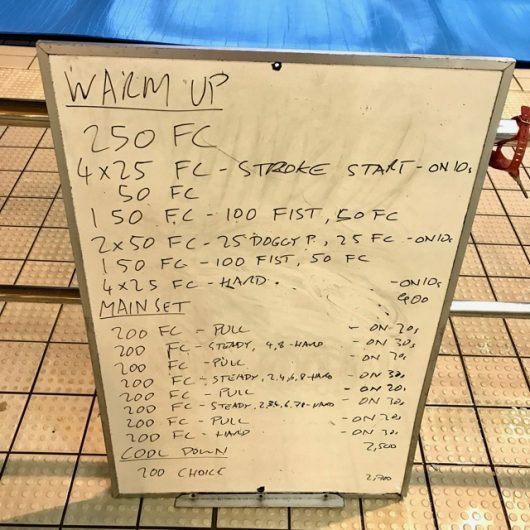 Again I use the swim start drill, practicing the bending of the elbow, to lead into some doggy paddle with the aim of transferring some of the skills over and then on to the full stroke itself. Backed up with some fist drill to keep emphasising the need to use the forearms too. 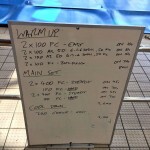 The main set is built around 200s with bursts of speed scattered over the session. 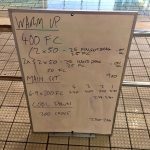 A very simple warm up with a couple of drills to work on a mix of balance in the water and rotation. 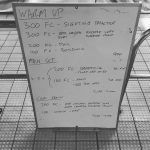 the progression from 6-1-6 to 6-3-6 is a fairly standard package that focuses on both these elements. 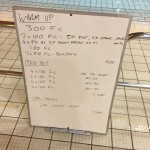 The main set was made up of blocks of 100s with a step up in pace as each block progresses. This wasn’t too intense a version of the routine, we’ll step up to that later.